well ... i now belong to the INSPIRATION AVENUE fraternity :) do not fret! i have not inducted myself into a group of assassins ... but then again, i believe we could be as potent! 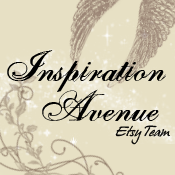 inspiration avenue etsy team is the group's full name and it is made up of a diverse but very talented group of artists who promote, encourage and support each other's work through friendship and a positive team environment. i am still finding my way here as i have never belonged to a group such as this :) but i am really excited and ever-ready to explore! woohoo! on a different note :) i just received another award ;) this one is rather new i think cos i've only seen it once. 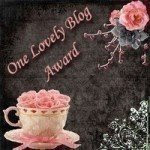 it's the one lovely blog award! thank you sharon of mana moon studios for passing this beautiful award to me :)) for those of you who have followed my posts, you would know sharon is a wonderful and extremely talented jewelry artist. more than that, sharon is a dear friend and a truly warm and giving person. lol! she is the one who brought me into the IAEteam fraternity! double thank you to you sharon!! check out this collection of hers. isn't it gorgeous?! ... that's why... it's going to go on TV!! hohoho! so many things are happening in blogworld and artyworld for me ... my adrenaline is a-pumpin! there's more orders for my elephants from red envelope, i have just put up a pimp&paint fan page in facebook and have 450 fans already! !, there's IAEteam and of course , there is my new dragonfly series in the workings :))) i'm a little flustered but that's becos i'm EXCITED!!! ... woohoo!!! Thank you for your kind words. You are a great advocate and I adore you. 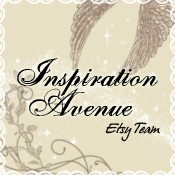 Luthien it's lovely to have you on the Inspiration Avenue team! Thanks for your comment on my blog - I love your work too - lots of lovely colour! What a great co-incidence that you spent some time living in Manchester - I actually don't live far away from the Uni - I can see us having a good old gossip at the next meeting! I was just working on your "Meet and Greet" for our team blog and stopped by to grab your blog url when what do I see but a fab posting about our team, whoot! You're a sweetheart for adding a photo of my work too although by now I'm probably in serious trouble for ever having mentioned it was going to be on tv, ugh! Fabulous Post Luthien! 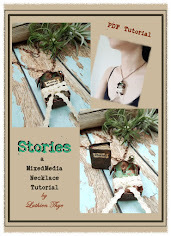 So happy you've joined our group... love your Blog and will visit often, of course! melissa :) i can't wait for you to put up your online shop! dawn :) so happy to be part of the group and meeting new friends and be inspired!! woohoo!! Congrats Luthien, I hope you get lots of fans! 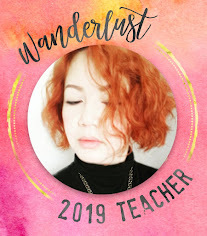 I think the Etsy fraternity sounds great; what I like about blogging is all the nice encouraging comments I get - and it must be even more important for artists. I'm sure you'll do great in the group; you're really really good at being encouraging! Have a lovely weekend Luthien.